Combine All Three – Academic Organization Program Discount! Combine Both – Executive Functioning Program Discount! What’s TO Reading this Month? With thousands upon thousands of books out there, it can sometimes feel overwhelming to decide what to read next. Fiction? Some short stories? A memoir? The complete run of Wonder Woman? Ahh! Luckily, Thinking Organized is here to help. Here’s what’s on our reading list this month; check them out, and let us know what you plan on reading next! 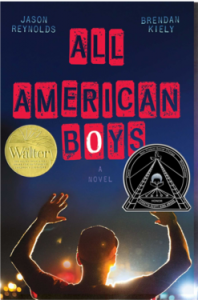 Jennifer: I recently read All American Boys by Jason Reynolds and Brendan Kiely after one of my students was assigned the novel for summer reading. This book focuses on the topics of racism and police brutality, and it became the most powerful book I read all summer. The alternating perspectives of Rashad and Quinn are explored as they navigate the consequences of a violent event that divides their community. 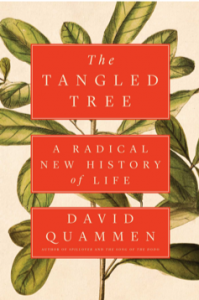 Kris tin: Right now, I’m reading David Quammen’s new book The Tangled Tree: A Radical New History of Life. Quammen is one of my favorite science writers, and I’ve been waiting months for this book to come out. It looks at the development of the concept of the tree of life and the changes it’s undergone thanks to breakthroughs in science. This book gives us a comprehensive look at the scientists responsible for altering our understanding of evolution, as well as what impacts this understanding has on our lives. 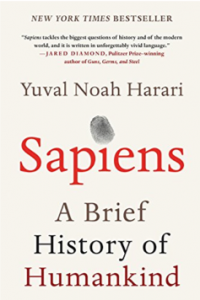 Mallory: I’m reading Sapiens by Yuval Noah Harari. I am absolutely loving this book. It explores the biology and history of humankind, from the Stone Age to the 21st Century. While the content is dense and mystifying, Harari writes with a clear, engaging style. I often find myself thinking about the content hours or days later. I chose to read Sapiens because I am fascinated by the human mind and human behavior. There is even a whole chapter dedicated to the evolution of language, so the nerdy-SLP side of me loved that. 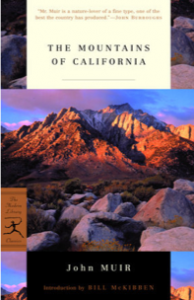 Michael: I’m reading The Mountains of California, by John Muir. It’s a work I’m reading in preparation for my doctoral exams on nineteenth-century American literature. In it, Muir tells about his travels throughout the Sierra Nevada mountains. He explores the land and its history, as well as the wildlife and plants he finds there, and does so in lively prose that does a great job of communicating his own enthusiasm for the natural world. 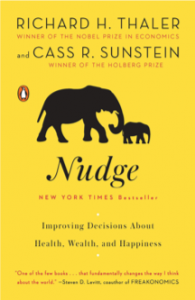 Tara: I’m reading Nudge: Improving Decisions about Health, Wealth, and Happiness by Cass Sunstein and Richard Thaler. It is a social psychology book that explores the way society makes various choices and provides suggestions for helping people make the best possible choices for themselves. I have always been drawn to these types of books, starting with Steven Levitt and Stephen Dubner’s Freakonomics and Malcolm Gladwell’s Blink. I am fascinated by people’s thought process and the various influences that affect them. As someone who spends a lot of time with teenagers, I am always looking for ways to help my students make the best choices for themselves and their future. Through seminars and individualized instruction, Thinking Organized is a unique and effective solution to a persistent problem. Think about your work differently, organize it successfully and accomplish your goals. Are you ready to “Think Organized?” Contact us!